Showers are one of my favourite things. Ok, that sounds a bit weird... But I think there are few things that make me so content as being squeaky clean, smelling lovely with soft, fresh skin. 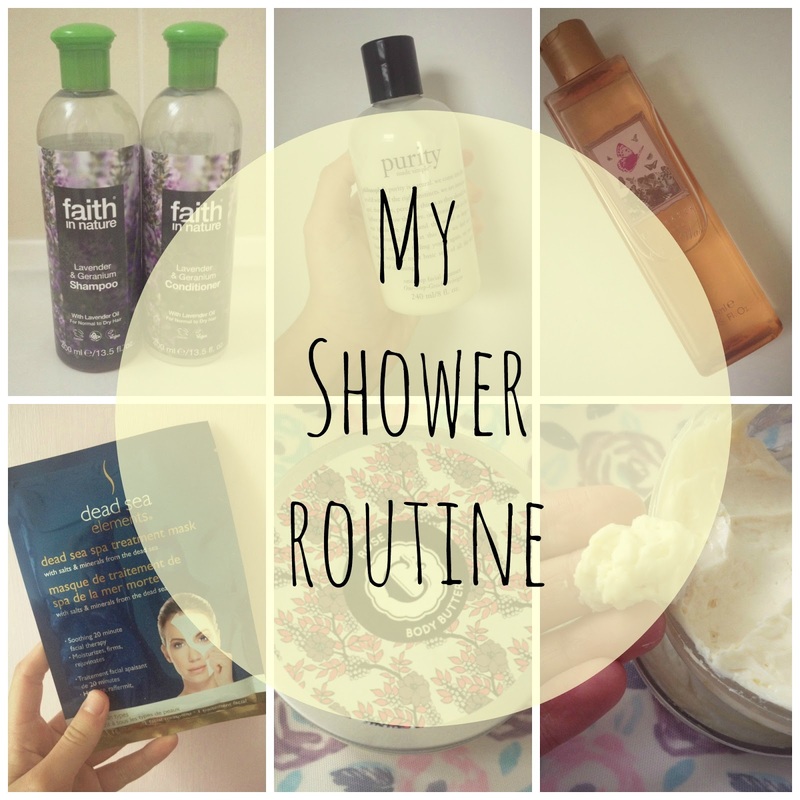 Today I'm going to share some of my favourite products that I use for my shower! This body wash from Ted Baker smells amazing! The smell lingers subtly on my skin for a good while after use. I also love the cute butterfly packaging! Although I have found that the products don't make it particularly easy to brush my hair after a shower (there have been some tangles in it), once its brushed it is an absolute dream to work with as its silky and in a fantastic condition. I'd definitely like to try the rest of their range. I've talked about this face cleanser countless times now- Its my go- to face product. Its so gentle to my skin and is super handy as its not only a cleanser but also removes makeup, tones and adds moisture to the skin all at once! A little goes a LONG way! Two bottles have lasted me nearly 9 months, I think! Although I have been breaking out a bit lately- I think its purely down to hormones and stress- this product is keeping on top of it. Okay, this isn't exactly a shower product but I had to chuck it in here; I picked this Dead Sea Elements spa mask up at TK Maxx in the lead up to exams as I knew that my skin would become bad. Its really nice for a relaxing evening and it definitely helps to calm those raging stress spots! Another fantastic smelling product (Are we spotting a trend here.?!). As part of our #PlymouthBlogMeet goody bags, Sweet Cecilys kindly gave us a pot of their rose body butter each to try. It really is great- it leaves my skin super soft but doesn't feel sticky. I also love the packaging!! So that is a few of my favourite shower products! What do you like to use in the shower? Also, for a bit of fun, what is your favourite song to belt out in the shower? I sing so loudly in the shower... I'm not washing, I'm performing, hahaha! My favourite songs at the moment are from Top Hat, the musical which I went to see at the Theatre Royal Plymouth this week! Disclaimer: All products marked with an asterisk were kindly sent to me for review but, as always, all opinions are my own!